Spring, Glorious Spring is coming! Encapsulated in the grip of Winter, we have been waiting for the enlivening energy of Goddess to revive us and bring forth Her promise of new life, new energy, and new manifestations. The seeds that began their quickening at Imbolc are bursting with life-affirming spirit and providing visual cues that Goddess is extending across the land. After the gray, frozen world of winter, we are ready to embrace color, sunshine, and the exhilaration of newness! Even here in South Florida, the land of what feels like eternal summer, the signs of Spring are appearing. An adorable dove couple have nested in the palm tree right outside my window and I feel so blessed to witness the emergence of new life from their union. The chirping of the birds has even changed – they are singing the messages of Goddess and Spring through the skies. 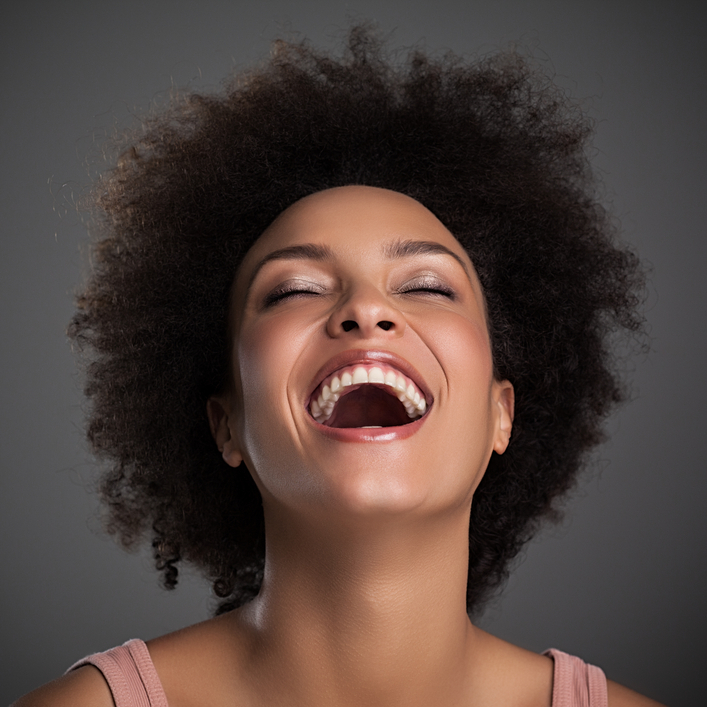 Laughing Woman is dancing into our life, bringing joy, wonder, and lots of laughter. She revels in the liberation of Spring and the gifts of new beginnings. Shed the gloomy winter humdrums and allow her to bring the restorative power of big, belly laughs and the warmth of small, shared chuckles. Laughing Woman is the embodiment of delight and the YES of our creative powers! Goddess is new again too. The Winter Crone takes a step back and the Maiden of Spring is revealed to perpetuate the cycle of life. The joy and innocence of the Spring Maiden Goddess affirms the potential of our creative lives and the ability to dance, sing, and stand in the shower of blessings. Spring Equinox approaches and the world again is balanced in light and dark. This year, there is a powerful convocation of energies at the Spring Equinox which also includes a New Moon, a Solar Eclipse and the movement of the Sun into astrological sign of Aries (also the astrological New Year) all on the same day. You may find that the days preceding the Spring Equinox and the upcoming energy vortex of events are challenging or full of endings and maybe even loss. Typically, eclipses signal beginnings and endings. As well, the the natural cycle of the Seasonal Soul is in motion – clearing the dead weight to make room for the new life and the potential of Spring. Embrace it. Assist it! Question what needs to be released within your life and relationships so that Goddess may breathe the promise of NEW into your world and soul. Consider it a Spring Cleaning within and without and an opportunity to focus on beginnings. 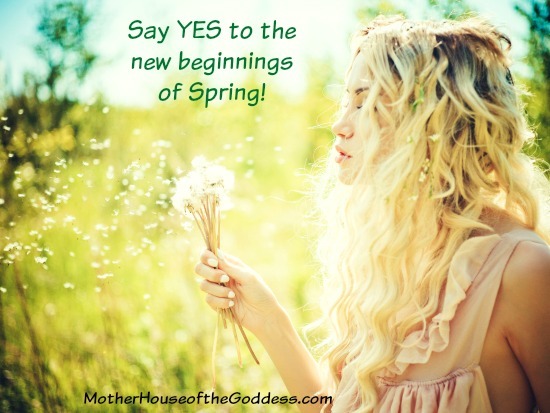 The message of the Goddesses of Spring is to embrace life; say YES to the new; and dance, shimmy, and shake all the cobwebs of winter from your soul. We are restored and the celebration of Goddess is contagious to our Seasonal Soul and Spirit! Sign up for our FREE Rhythms of the Goddess Seasonal Journal in the new online format! Spend some time with babies, children, baby animals – allow their wonder and joy to be your filter. Create a Nature Mandala or Despacho – use all natural and organic items, such as seeds, flowers, sticks, and stones, and food for the animals. Offer it up to Goddess in ceremony. Start a Wishing Tree – write wishes and prayers on ribbons to tie on a special tree. Make sure the ribbons are loose enough for the tree branches to grow! Spend time in Nature. 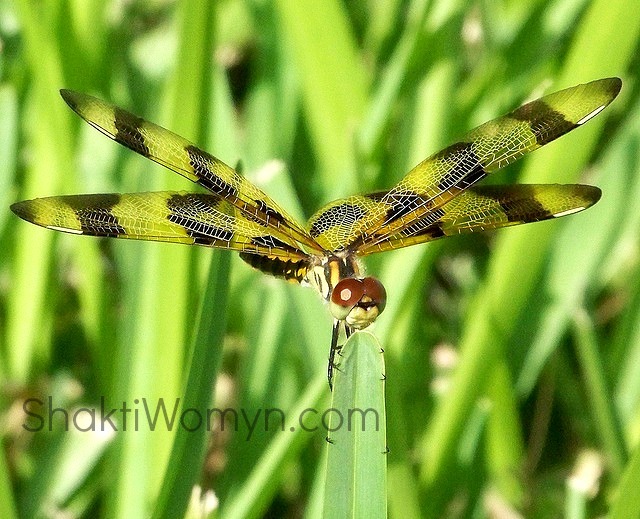 Nothing is as restorative as communing with Goddess in Her natural setting – forests, wildlife preserves, parks. Take a walk and collect items to add to your Spring altar. Give flowers to someone that you appreciate – spread Spring! 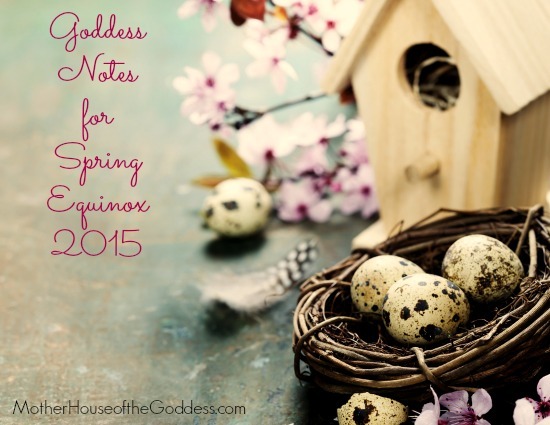 Gather with other women to celebrate Spring Equinox and the New Moon.